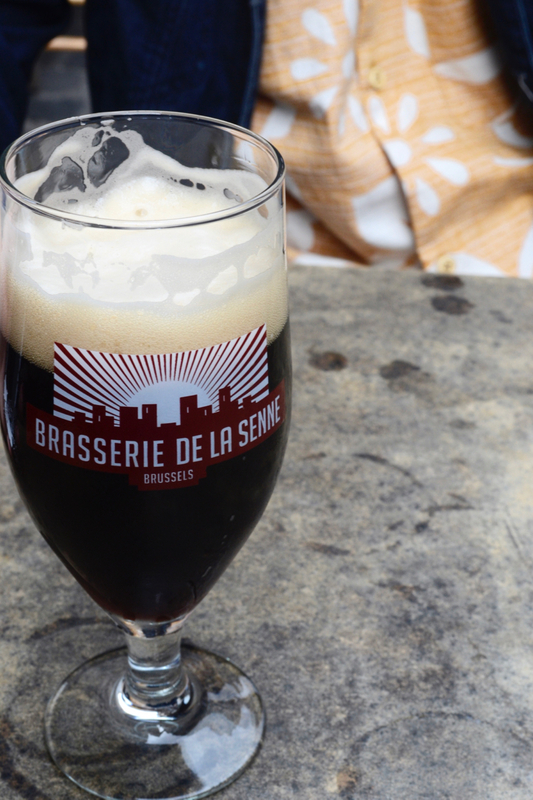 Chips, chocolate and beer top every visitor’s must-try list when travelling to Brussels. 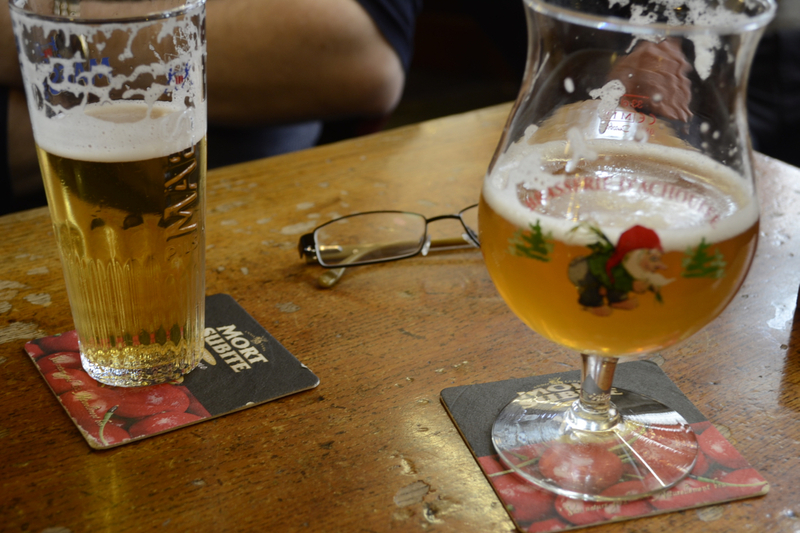 Beer and Belgium go hand in hand; could there be a Belgium without its beer culture? 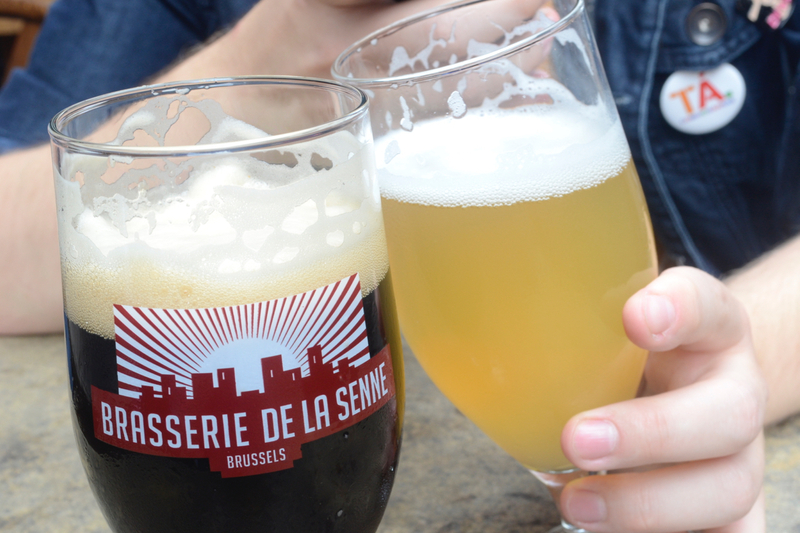 Naturally, the Belgian capital has some of the best bars and beer houses in the country. 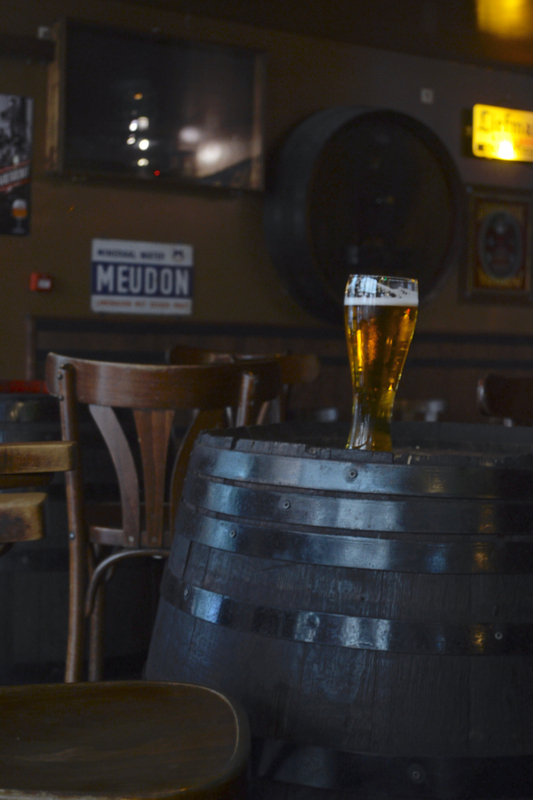 If you’re feeling frazzled and swamped in suggestions of where to grab a beer, take it from us: here’s eight of the best bars in Brussels for beer. 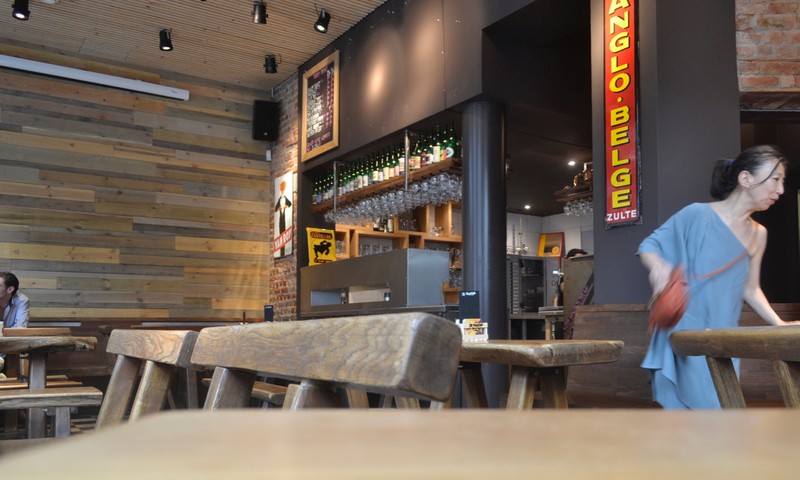 You can easily lose a good half a day in Moeder Lambic – which has two locations in central Brussels, the original in St. Gilles and a newer branch on Place Fontainas right by Anneessens metro. Exceptional staff guide you through your beer and wine choices by taste and preference and there’s two lists – one of regular bottles and brews and a ‘guest’ menu of daily/seasonal-changing options from around the globe. 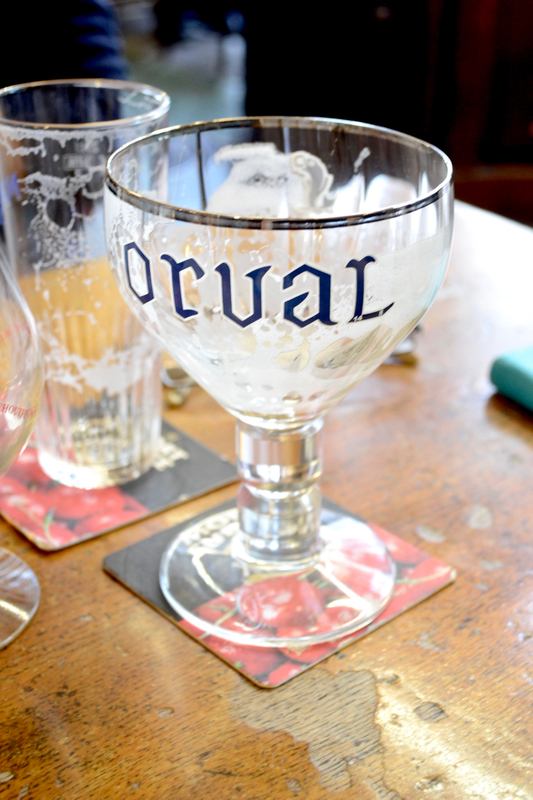 On one evening we tried beers from Belgium, the UK and Ireland but there’s huge choice from around the globe and constantly change and rotation on the menus. The St. Gilles site may appear quite small with just a terrace and compact ground floor, but there’s a basement below providing ample extra seating. There’s great meat and cheese platters too, but you’ll be too consumed by the drinks to wonder about dinner! If hungry afterwards, we had a lovely light meal in Prélude just around the corner whilst St. Gilles’ Ch. D’Alsemberg is just a few streets away with lots of restaurants and street food stalls. 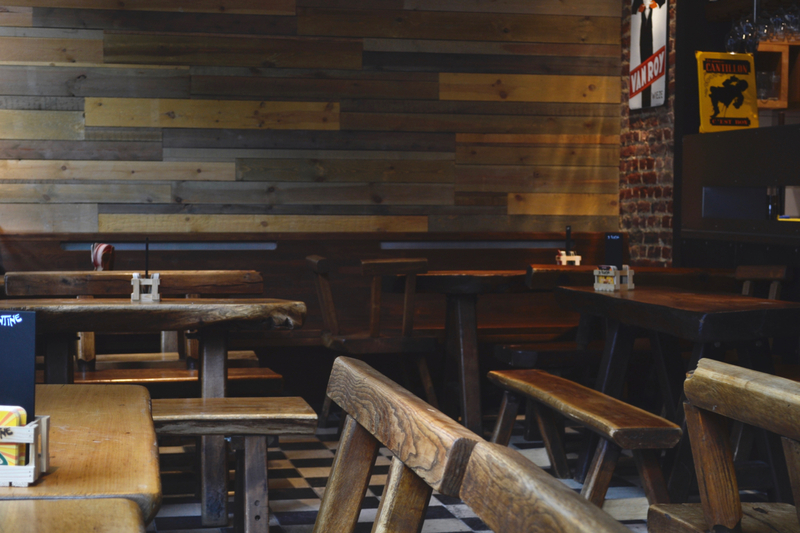 Right by the Jeanneke Pis statue, Delirium is located down a side street off the Rue des Bouchers, which – as foodies – we would absolutely never allow you to walk down or even consider venturing to. However, in this case, it’s a necessary evil. 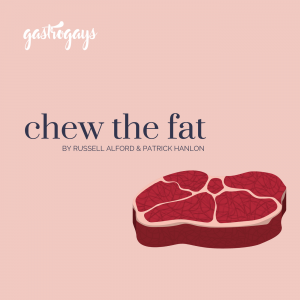 Go past all the tacky, tourist-tempting restaurants with plastic menus and creepily-smiling maitre d’s coaxing you in to their awful excuses for restaurants and head down the small alley, Impasse de la Fidélité, to Delirium. The eponymous bar from Belgium’s Delirium brewery is traditional yet modern in equal measure, though the most tourist-y of this list. 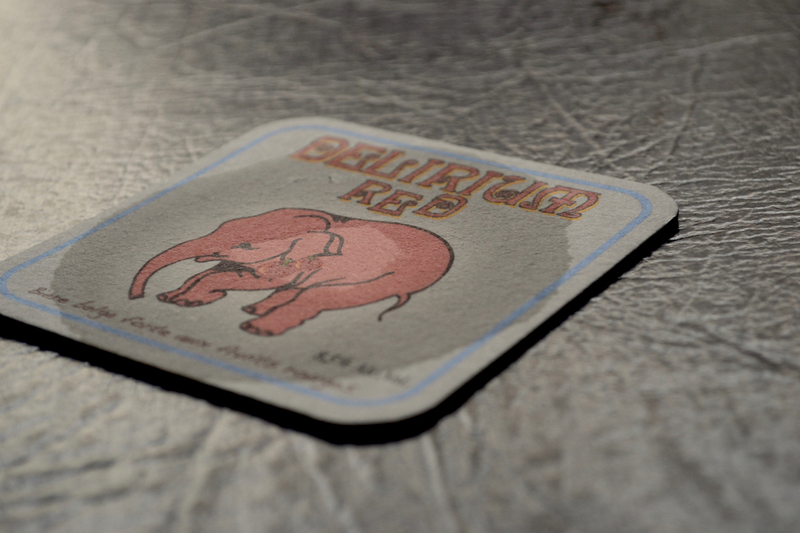 The symbol of Delirium is a baby pink elephant and the brewery has three different beers – a traditional, a red (fruit) and a blonde – all quite high ABV % and packing a strong punch. 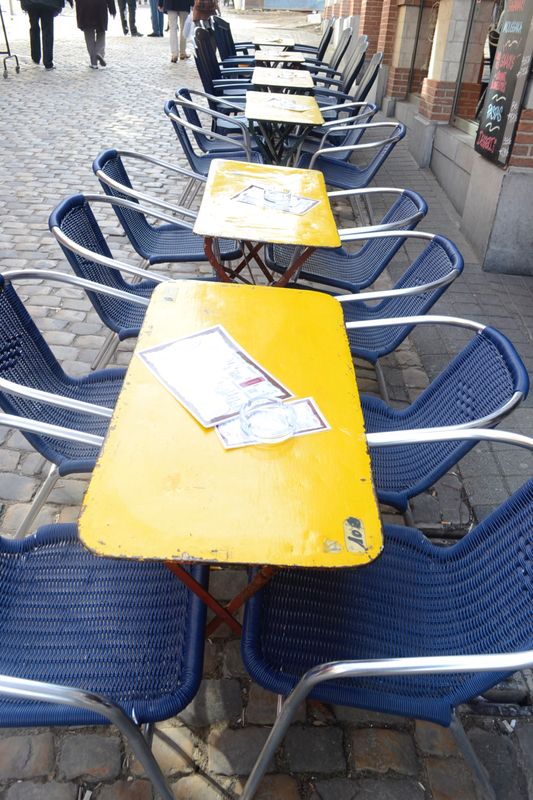 Order a couple of Delirium Trevsum (the signature ‘blonde’ white beer) and pull up a high chair at one of the barrel tables whilst taking a refreshing break from seeing Grand Place and its environs, you’ll thank us! 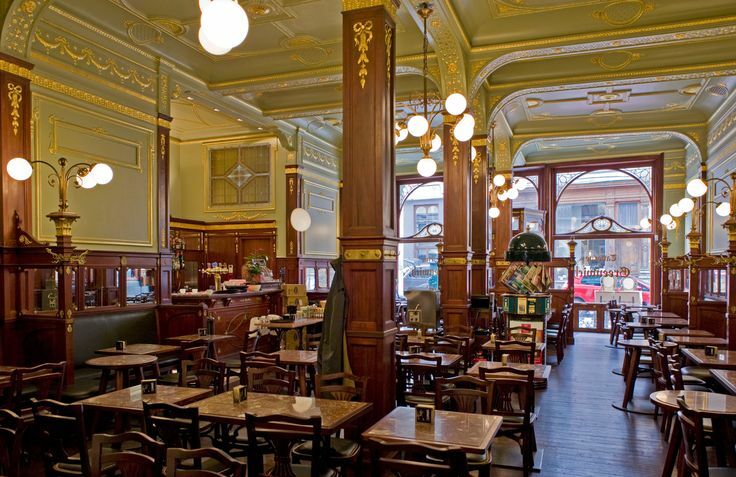 Really old world with heavy wooden tables and efficient service, this feels like a real slice of Paris in the heart of Brussels and still boasts its original 1928 decor! 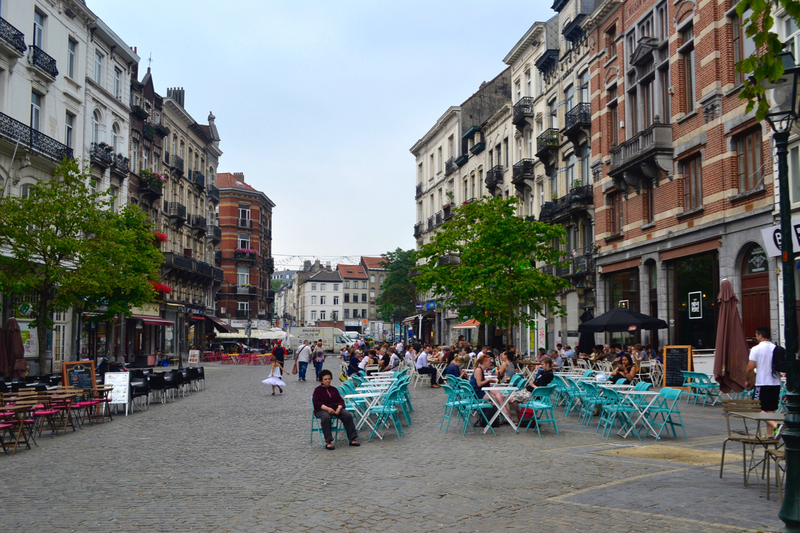 Just off the stunning Galeries St. Hubert (which you must visit and stand in awe at) and a stone’s throw from Grand Place, you’re more likely to get a table here and it’s popular with both locals and tourists. 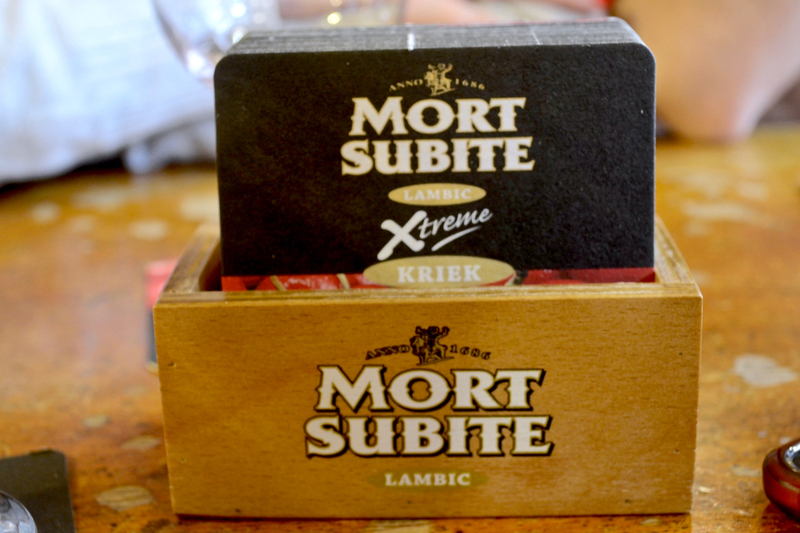 By the way, translated from French, A la Mort Subite means sudden death! Today, the fourth generation of the Vossen family, Olivier and Bernard, run the bar perfectly stocked with Gueuze (Belgian lambic) beers. This is a laid-back, casual bar you could lose a couple of hours in trying all the beers and, personally, this is one of our favourite bars in Brussels. 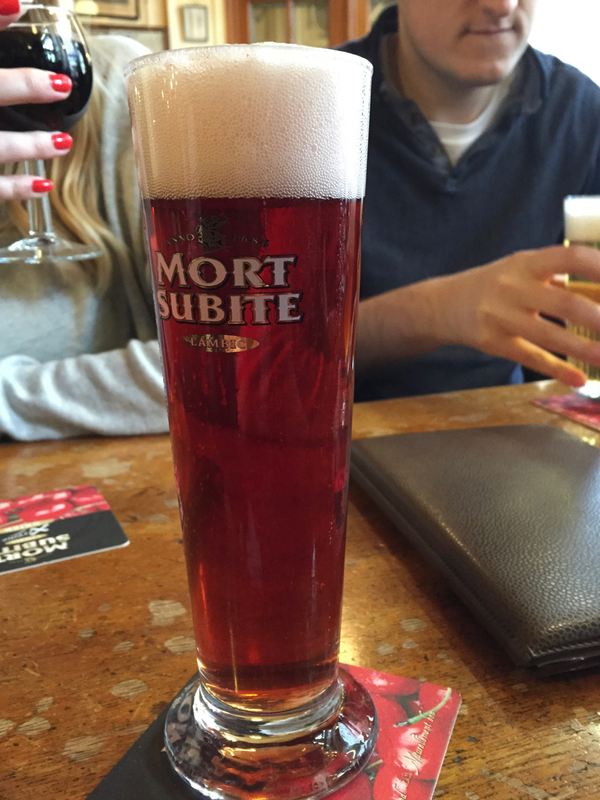 We recommend the sweet, fruity beers, some of which are made with raspberry (framboise), cherry (kriek/cerise) and even peach (pêche)! Just a street or two from Grand Place, you’ll see Drug Opera from afar, don’t worry. 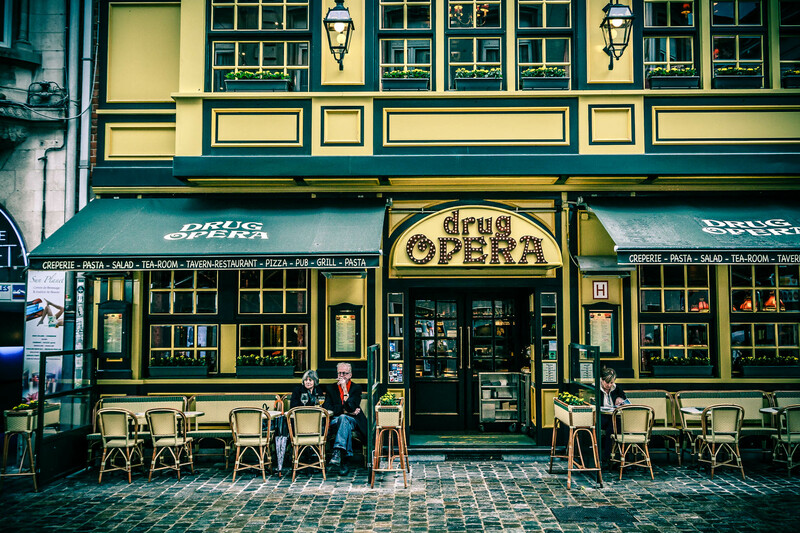 A camp, old world exterior and rich interior styled like an elegant English tavern, Drug Opera has it’s charm and draw in spades. You’re probably wondering about the odd name, right? It’s derived from the former drugstore which occupied this building before its current incarnation. Service lets this place down big time but it’s right off Rue Tabora on Rue Grétry and boasts a nice terrace and an upper floor, so you’re pretty much guaranteed a table or booth inside or outside. Our tip? 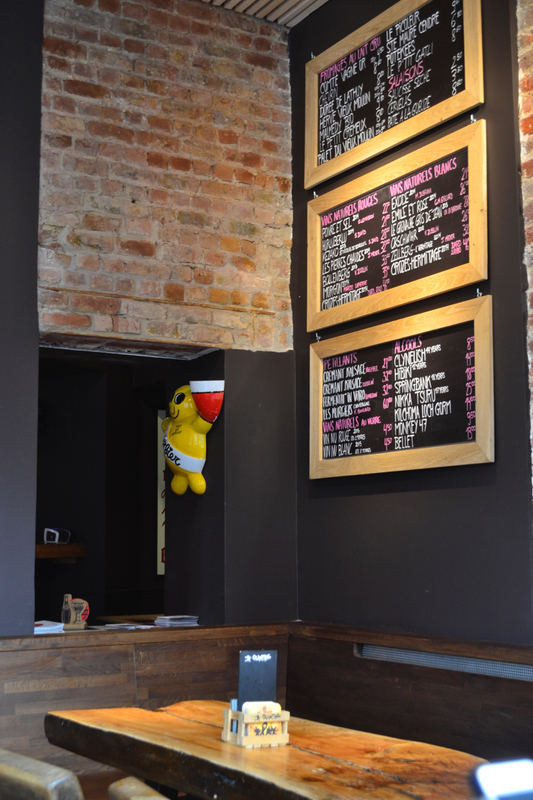 Sit at the ground floor bar and observe the busy staff serve their customers. There’s a far-reaching list of drinks and they come at a bit of a premium, so don’t linger here too long. A full food menu is also served, but we weren’t convinced on quality one bit and didn’t eat here. Come, have one and then you’re done! 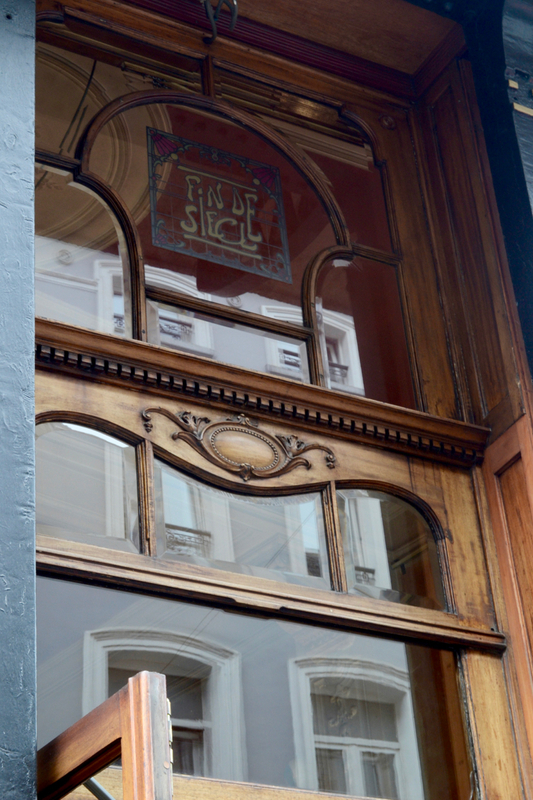 Traditional Belgian brews and classic dishes (stoemp, carbonnade) take equal billing at Fin de Siècle. There’s table service and a beer menu, but for food you’ll have to consult the menu scrawled on the big board above the large, central, wooden bar. Take a quick snap on your phone and show to all your table-mates for ease! 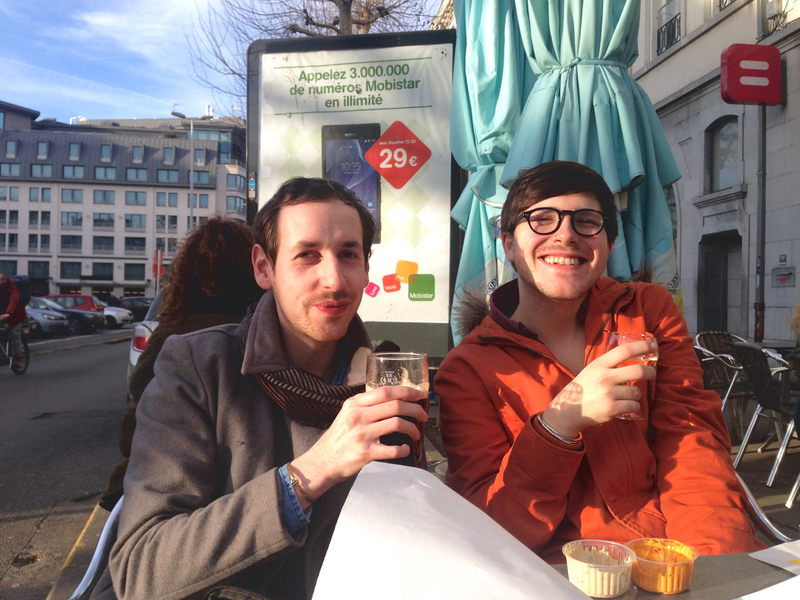 We like sampling some of the local Brussels beers here. 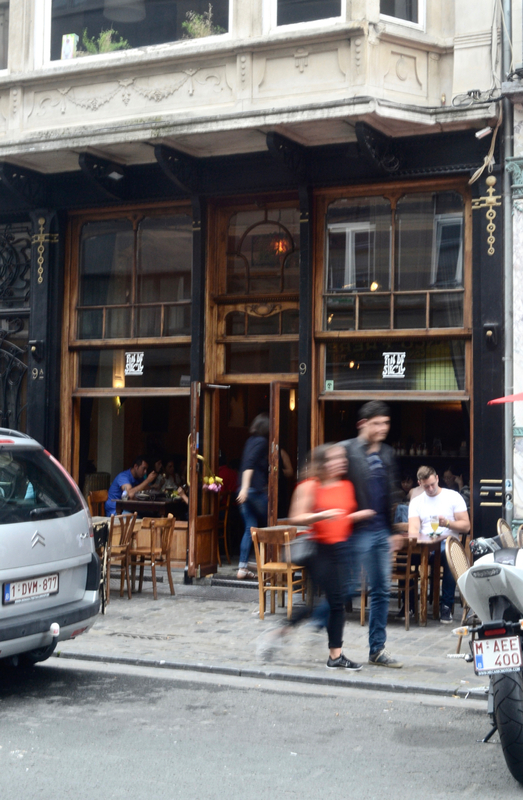 Seconds from Bourse station and sandwiched right between Anspach and Grote Markt (Grand Place), you’ll find Le Cirio (no website) in the middle of a line-up of classic-looking bars. This is really the only one worth trying. It’s old school to its core, from the interior to the service (each drink comes served with a teeny bowl of pretzels, breadsticks and crackers to sate hungry drinkers). When the weather’s nice prop up a table on the terrace, but in the colder months there’s no better place than here to slink into a table or perch at the bar enjoying an elegant pre-dinner drink or night cap. 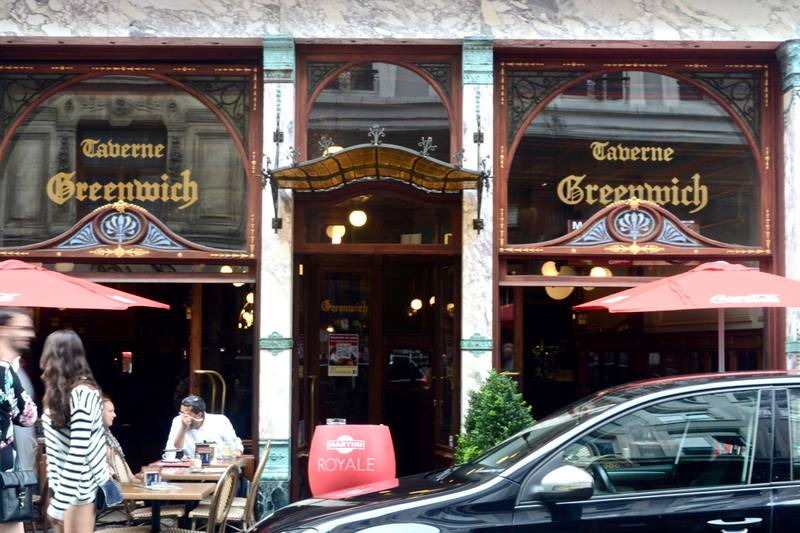 Right beside Fin de Siècle in the trendy Dansaert Quarter, Greenwich can be quieter but just as worthy a place to grab a beer and watch the world go by. There’s also a traditional menu on offer including Moules Frites and the interior is really stunning. 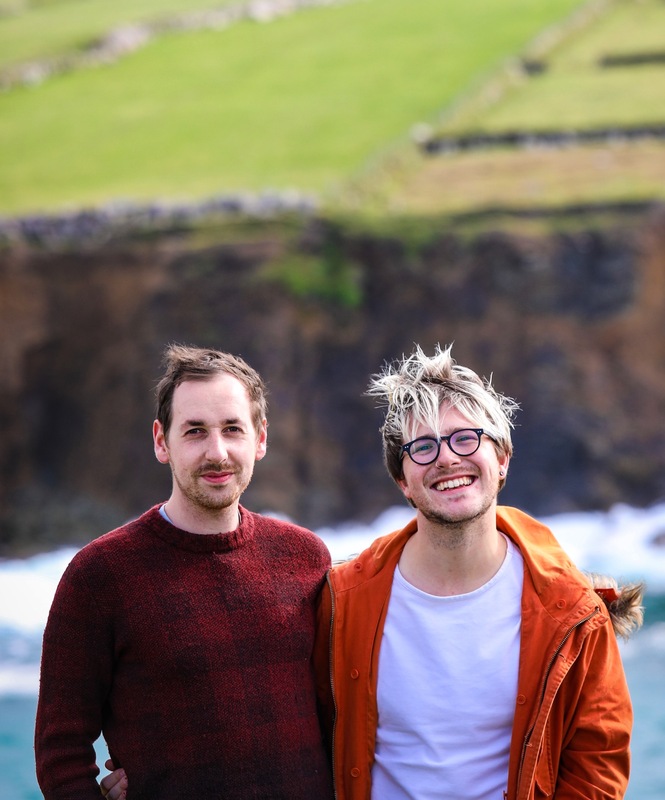 We get the irony… two Irish guys plugging a seemingly standard Irish bar, but hear us out! 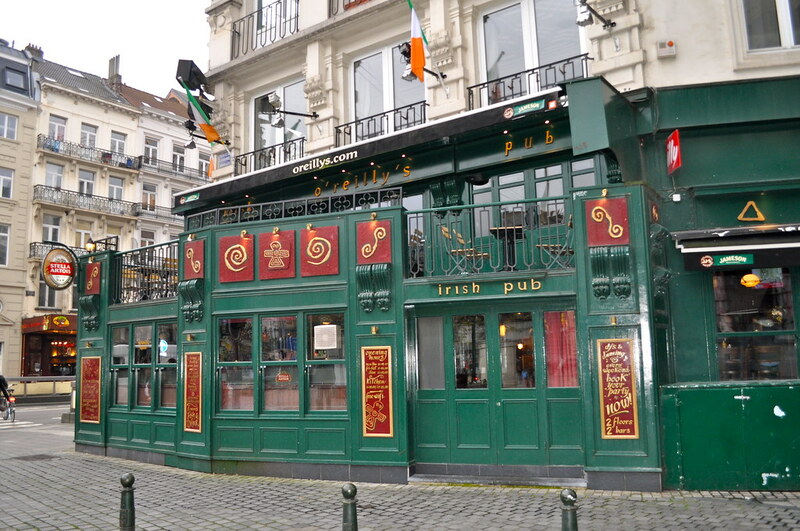 We’ve ended up in O’Reillys (on Anspach, right by McDonalds and Exki – across from the stock exchange itself) numerous times and there’s always a guaranteed good vibe and atmosphere in a big, established Irish bar in a capital city. This is spread over several floors, has live music and free Wi-Fi. 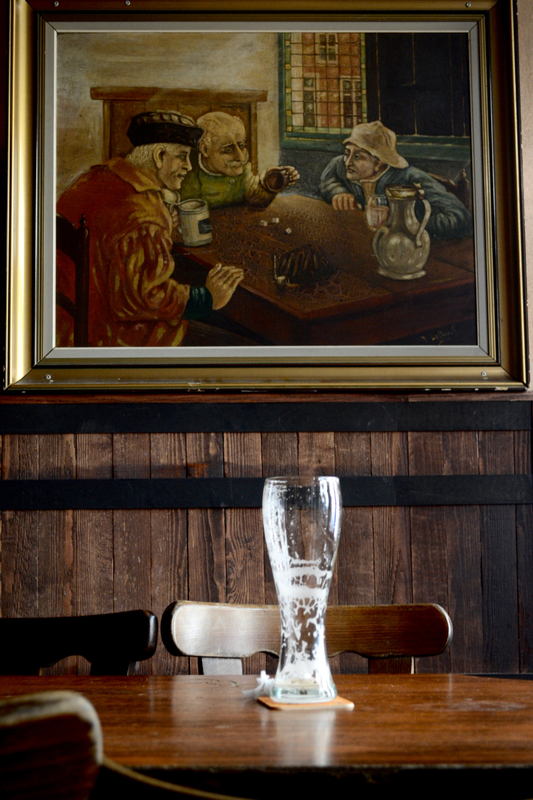 The drinks are a bit pricey, but this is a grand spot to base yourself whilst checking emails, figuring out itineraries or just chilling out with a cold pint during the day whilst worthy of enjoying a song or two’s worth of craic when it’s bustling at night. 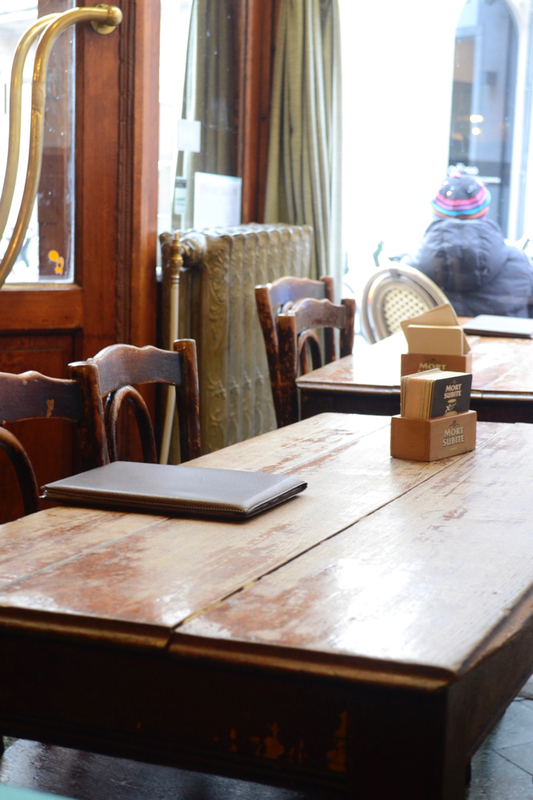 The terrace upstairs is particularly cosy and has a nice view over the Beurs (Bourse) area. 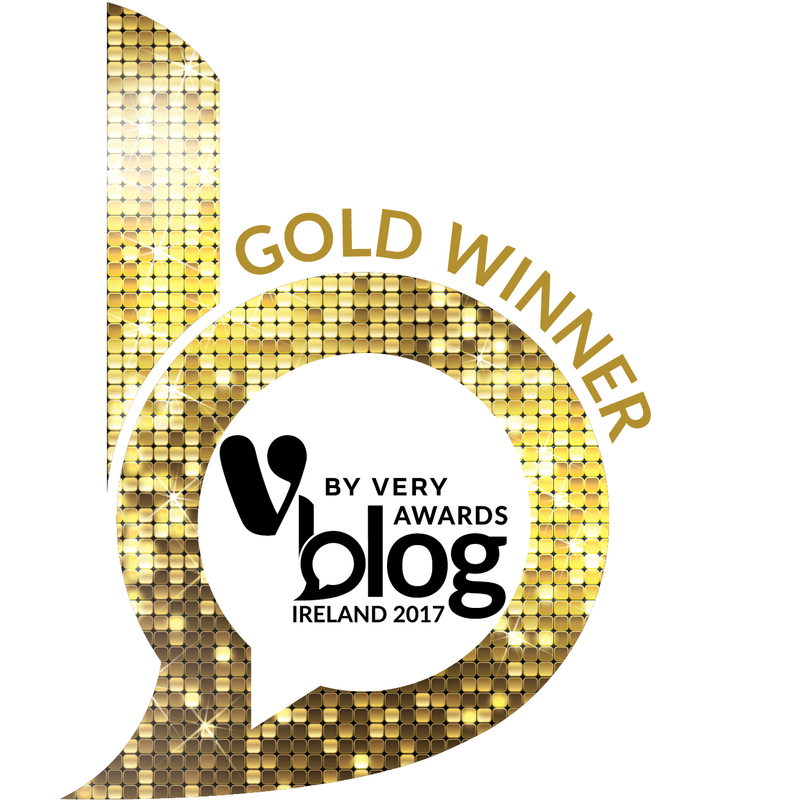 Why not keep the Irish theme going and head across the road to Bia Mara on Rue du Marché aux Poulets for fish and chips like never tasted before! Open ’til 10:30pm every night too, click here to read our full post on Bia Mara. 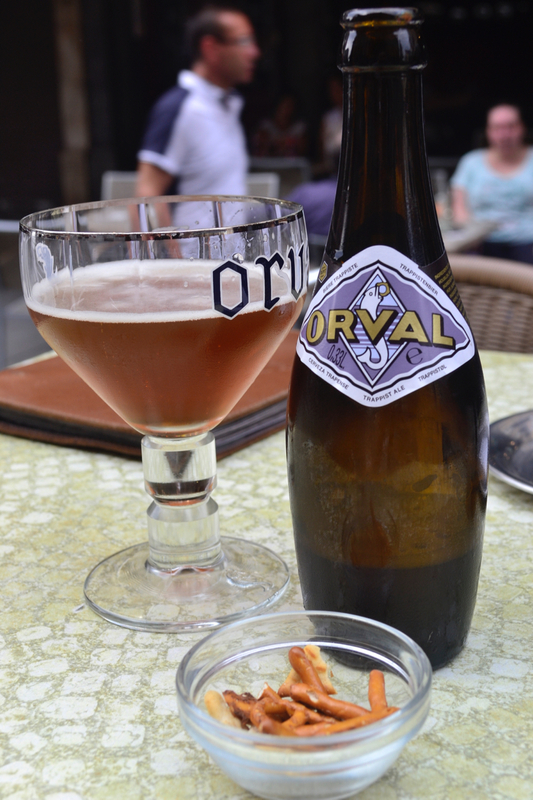 Which other bars in Brussels do you like to visit for a glass of the good stuff? Let us know in the comments below, and you’ll find more of our travel features here.